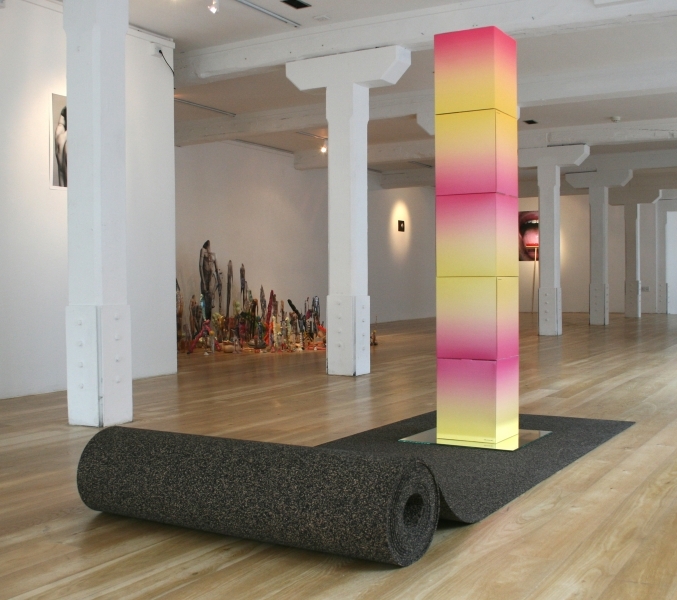 Wish Landscape, 2015, five stacked cardboard boxes, 27 cm x 165 cm x 27 cm, mirror, 50 cm x 50 cm, rubber and cork matting, 245 cm x 100 cm. 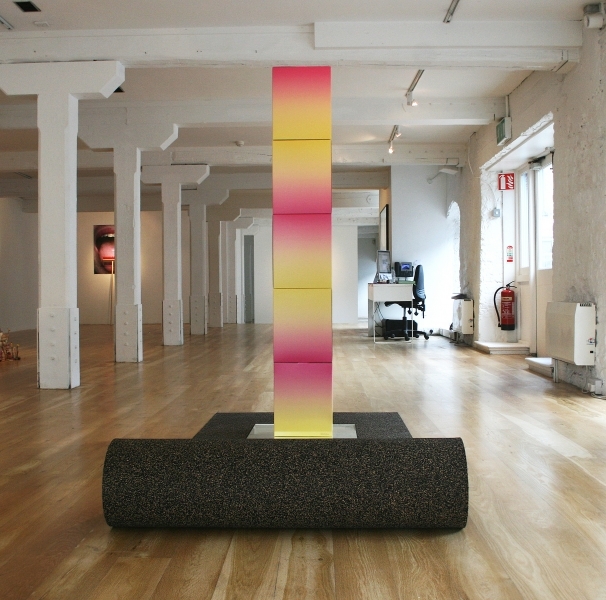 Installation view at This is not my voice speaking, CIT Wandesford Quay Gallery, Cork. Wish Landscape, 2015, five stacked cardboard boxes, 27 cm x 165 cm x 27 cm, mirror, 50 cm x 50 cm, rubber and cork matting, 245 cm x 100 cm. 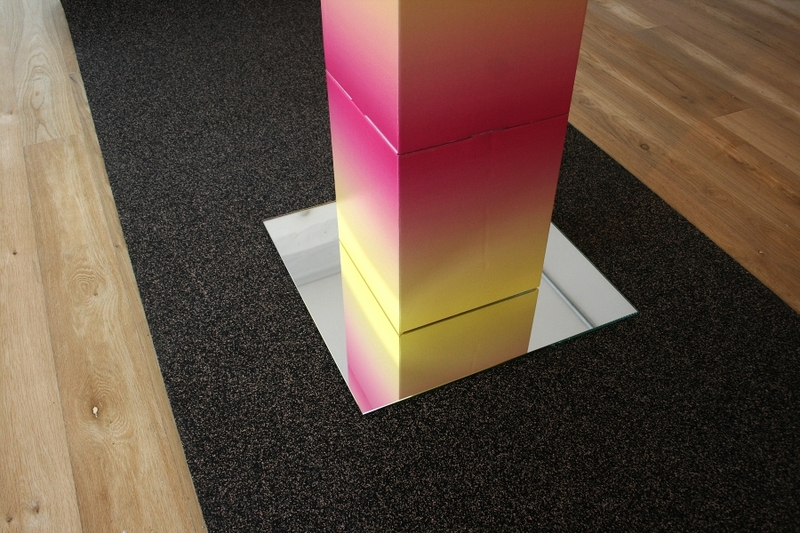 Installation view (detail) at This is not my voice speaking, CIT Wandesford Quay Gallery, Cork.